The $43 bln Waste Management is buying smaller rival Advanced Disposal for $3 bln. Financially the purchase looks like neither trash nor treasure. But steadily rising demand, bolstered by China’s rejection of many U.S. recyclables, makes bulking up a low-risk option. A waste management company worker empties a dumpster in Aglona, Latvia August 15, 2017. 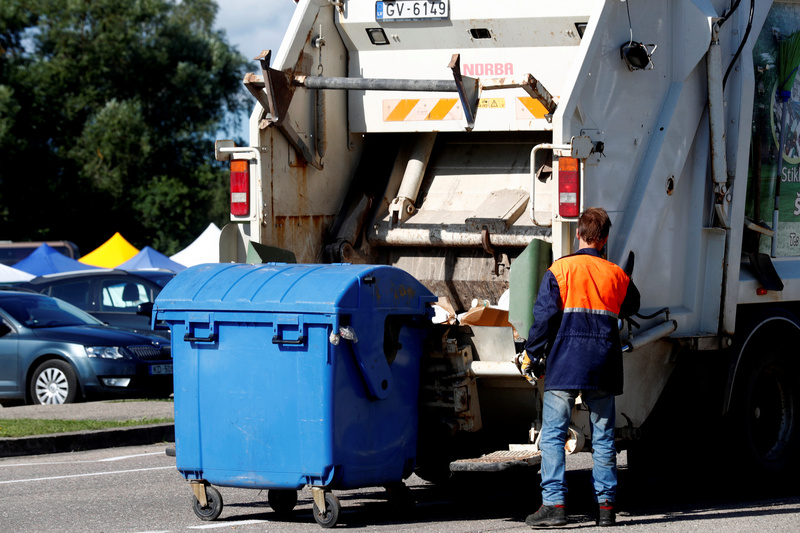 Waste Management said on April 15 it would acquire all outstanding shares of smaller U.S. peer Advanced Disposal Services for $33.15 per share in cash, a premium of 22.1 percent on Advanced Disposal’s closing share price on April 12. The offer represents an enterprise value of $4.9 billion for Advanced Disposal, including $1.9 billion of debt. U.S. sector leader Waste Management, worth $43 billion in market capitalisation, said it expected the deal to generate annual cost and capital-expenditure synergies of more than $100 million. Advanced Disposal reported revenue of $1.6 billion in 2018 and adjusted EBITDA of $427 million. China in December extended a ban on imported waste that includes plastic, paper and scrap steel.